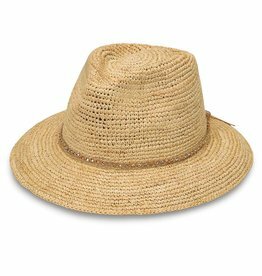 The natural fibers of raffia are comfortable and cool on a hot summer day. 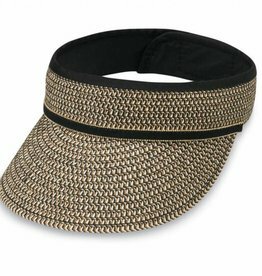 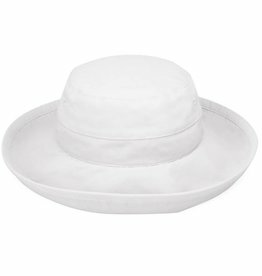 The generous 4" brim adds elegance and welcome shade. 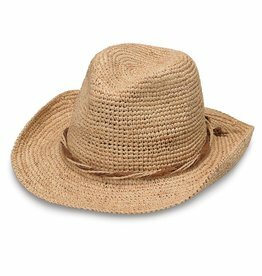 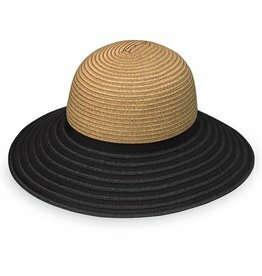 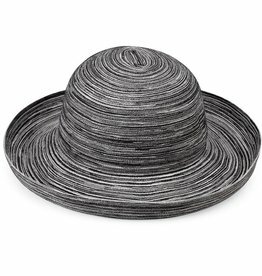 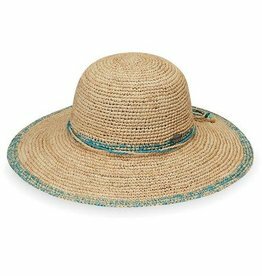 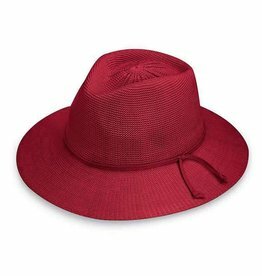 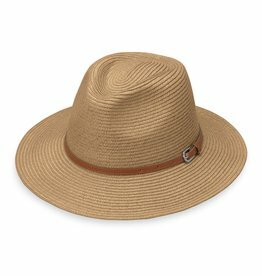 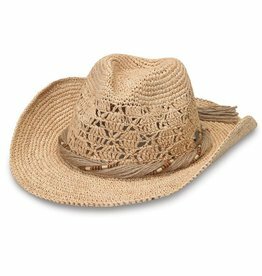 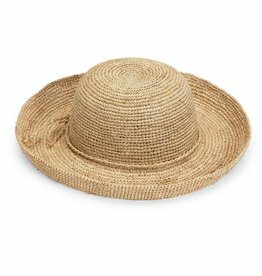 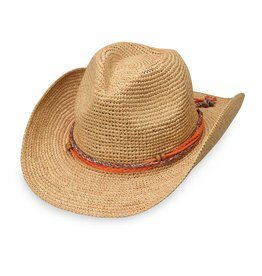 100% Natural Raffia with wire brim and suede Chord detail. 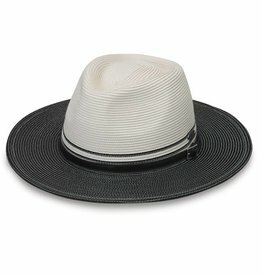 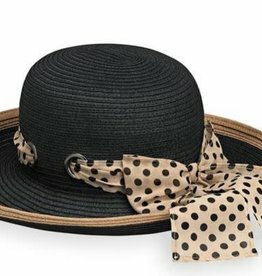 Paper Braid Adjustable fedora. 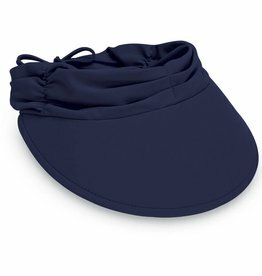 UPF 50+ sun protection.